The EasyCAT Exchanger is an economical solution to build a Bridge EtherCAT that allows you to exchange 128 byte in Input and 128 byte in Output between two independent EtherCAT lines each one with his own Master. 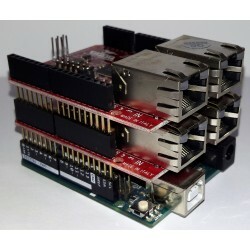 The EasyCAT HAT allows to exchange on the bus EtherCAT® 32 byte in input and 32 byte in output, configurable up to 128 byte. 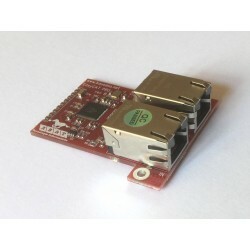 The communication is totally managed in Hardware and the exchange of data with the processor is made via SPI.It can support three types of synchronization: Free RUN, SM Sync and Distributed Clocks. 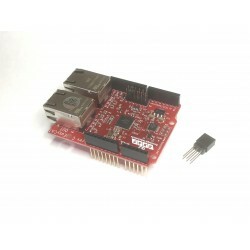 The EasyIO board is an EtherCAT® IO slave complete of 16 Input 24V, 16 Output 24V, 4 analog input 0+10V, 2 analog output +-10V. Mounted on DIN Rail Enclosures. Kit composed of an STM32 Nucleo-F303RE + a Shield EasyCAT spi_on_13_12_11. The Shield EasyCAT allows to exchange on the bus EtherCAT® 32 byte in input and 32 byte in output, configurable up to 128 byte. 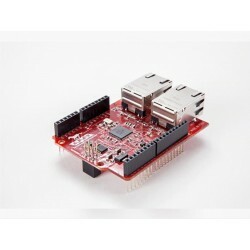 The communication is totally managed in Hardware and the exchange of data with the sketch Arduino is made through a library .It can support three types of synchronization: Free RUN, SM Sync and Distributed Clocks. 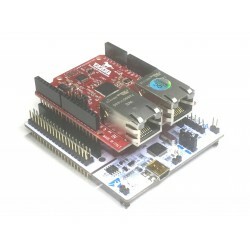 Kit composed of an Arduino Uno Rev. 3 + a Shield EasyCAT. 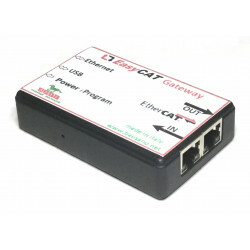 The EasyCAT Gateway is a device that allows to exchange data between an EtherCAT® bus and an USB host or an Ethernet network. 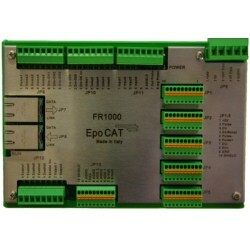 The EasyCAT PRO allows to exchange on the bus EtherCAT® 32 byte in input and 32 byte in output, configurable up to 128 byte. 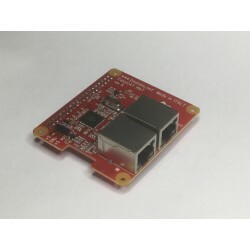 The communication is totally managed in Hardware and the exchange of data with the processor is made via SPI.It can support three types of synchronization: Free RUN, SM Sync and Distributed Clocks. We accept payments via credit card, Paypal and bank transfer. AB&T™ is a software firm located in Ivrea that operates in the industrial automation field, developing technologies that boost the performance and immediate use of the Motion Control..